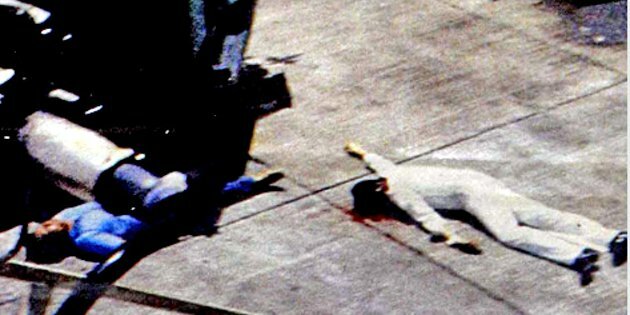 Thirty-two (32) years ago today, the Philippines was still under the martial rule of the late dictator when his most prominent political enemy was killed at the tarmac of the Manila International Airport. The then President Ferdinand Marcos was never legally implicated in the assassination of former Senator Benigno “Ninoy” Aquino Sr. but no Filipino in his right mind should believe that the dictator was not involved in the crime. As a dictator on top of the military people who carried out the assassination plot in the guise of protecting his nemesis, I personally cannot agree that he has nothing to do with the murder of Ninoy Aquino. I was half my age now when the gruesome event in our nation’s history happened. In my old blog, I had an account of what transpired in my own life as a young husband and father on that fateful day of 21 August 1983, a Sunday. I write about it because we, Filipinos are notorious for having short memories. We tend to forget easily even the important events in our nation’s history. There is now a lot of misinformation regarding what happened in the past especially about the misrule of the dictator. These are aimed to twist the truth in the minds of those who do not know it and the young ones who were not yet born when the dictatorship prevailed in the country. The death of Ninoy symbolized the supreme sacrifice of a man who said “the Filipinos are worth dying for”. In the early days after his murder, no one said anything bad about him. But, nowadays when his tormentors are trying to regain lost political grounds, lies like his being a traitor who had secretly agreed with Malaysia not to pursue the Sabah claim in exchange for support on his Presidential candidacy in 1973 election which was never held. I would like to believe that they are peddling this malicious lie not only to besmirch Ninoy and his family but also to cover up for the misdeeds committed by the dictator during his regime. Ninoy’s murder which remained unsolved to this day despite the reigns his late wife and his only son as presidents of our country, marked the beginning of the end of the dictatorial rule of Ferdinand Marcos. Against the dictator’s will, he was forced to call for an election in February 1986 where the Ninoy’s widow went against for the presidency. He claimed victory and a sham proclamation declared him the winner but a People’s Power Revolution threw him out of the country and democracy was eventually restored by the woman who was brandished by him as an inexperienced wife who wanted to be President. I know these truths because I was in my young middle age when these events happened.